HILLSBORO, N.M. An Amber Alert was canceled Sunday for five teenage boys who authorities reported missing from a rural New Mexico ranch for troubled youth along with others before the weekend, officials said. The boys - ages 13-17 - all were physically accounted for Sunday, New Mexico State Police said in a release Sunday evening. Four other teenage boys who also were part of the group already were found safe, and they with their parents Saturday. Henry Varela, a spokesman for the State Children, Youth and Families Department, said authorities couldn't consider the boys safe until they saw them. "The key fact of it all is being able to physically confirm the whereabouts of the kids," he said Saturday. Meanwhile, attorney Pete Domenici Jr. for the Tierra Blanca High Country Youth Program near Hillsboro maintained through the weekend that all the boys were safely with their parents. He also said authorities had blown the situation out of proportion. 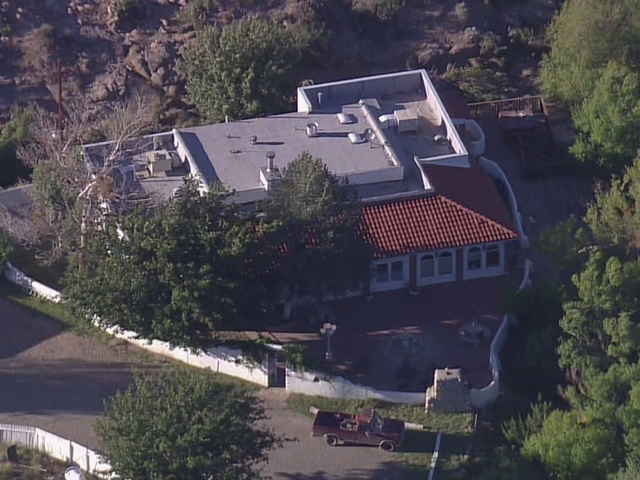 State police executed a search warrant at the 30,000-acre, high-desert compound last week when they discovered the teens weren't there. Authorities are investigating claims of abuse at the ranch. State police spokesman Sgt. Emmanuel Gutierrez said officers and agents aggressively were searching for the boys. Domenici said the boys were away on what was supposed to be a two-week camping trip in southeastern Arizona. Each of them was picked up by family members, who were asked to let state police know they had done so, he said. "I would respectfully disagree that they're in danger, missing or abducted," Domenici said Sunday. Domenici said efforts by police to verify the whereabouts of the boys likely were complicated by custody proceedings filed by the state. The search of the ranch came after the Albuquerque Journal reported that authorities were investigating claims that teenage boys were beaten and forced to wear leg shackles and handcuffs for minor violations of rules at the unlicensed program. The operators of the ranch, Scott and Collette Chandler, deny any children have been harmed and filed a lawsuit this week accusing investigators of targeting the ranch for closure following a fatal car crash involving students. Domenici has accused the state of escalating the situation by failing to agree to an emergency hearing in a lawsuit the ranch filed this week over what the suit contends was an improperly handled investigation.